The views from the barn are expansive, sweeping over the Avon valley. The views inside the barn are remarkable: ancient motorcycles on shelves, disembowelled cars with innards spread across the floor, and slung in a cradle fit for a shipyard a vast lump of metal, the magnetic core of our visit. Running ahead Duncan Pittaway turns down Classic FM and stands hands on hips at the centre of his mechanical glory-hole. “Well…” he says, smiling. It may be the only time he stops talking the whole visit. 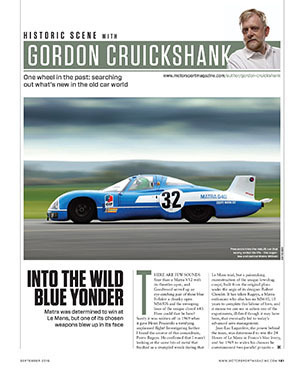 Pittaway is one of that barking VSCC crew who build and race ludicrous specials ludicrously fast – well-spoken Freddie Dixons, today’s John Bolsters. Slim, active, with short steel-grey hair, Pittaway isn’t wearing mucky overalls but a white shirt unblemished by oil and a tie, the Whistler of the workshop. Not content with hurling the Curtiss-powered Monarch around VSCC races, he drives his skeletal GN Hornet with its two V-twin lumps (“I’m going to put another two in there so it’s more in the Bolster spirit…”) scarily fast on track and then points it up muddy hillsides in trials. But nine litres of Monarch weren’t enough; he’s going bigger. Twenty litres bigger. Soon he will unleash, for the first time since the 1920s, a Fiat S76, that stumpy stegosaur of Edwardian record cars. I’m surprised Duncan has time to talk at all. It’s June; Goodwood has announced the huge Fiat will be at the Festival, so it has to be ready. But as I stand in the barn I can see the chassis – bare except for hubs and two dangling pedals. How long has he got? “Twenty days!” He grins confidently. “We’ll do it. We’ve had most of it together, we just took it apart for painting.” ‘We’ is mainly him and his unburstable enthusiasm, aided by mates Tucker and Bruce. “We nearly had the gearbox in before you came,” he says pointing. It’s not even complete: massive gears gape from the casting, including the diff – the engine is so big that ’box and diff are combined under the cockpit, the half-shafts turning pizza-sized chainwheels (by the driver’s toes) which drive massive roller chains. 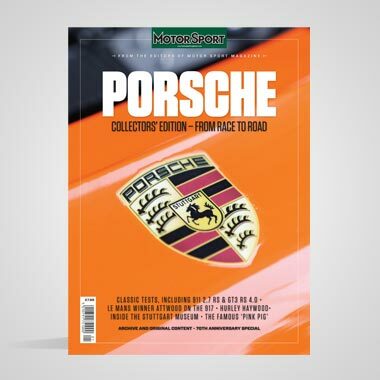 Later he describes collecting the S76 engine from Italy with Mark Walker “dressed up like The Italian Job, crash helmets with mesh over our faces!”. He fires these tales off so easily it’s hard to know what to make of them, except the one about his teachers advising his parents his education “might be better elsewhere…” That seems believable. Over the years Duncan has assembled enough information about the legendary ‘Beast of Turin’ even to overturn Bill Boddy’s opinion. 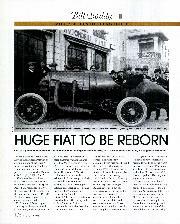 In his Aero-engined Racing Cars book WB stated only one car was built, but as is now clear – from engine and chassis differences between photos – Fiat built two of these giants in 1911. WB latterly conceded this, and it agrees with Fiat historian Tito Anselmi. Both were fitted with four cylinder 28,353cc single overhead cam motors, though photos show No1 had two inlet and two exhaust ports whereas No2 had three inlet and four exhaust ports. With alloy crankcases and four-valve heads these motors led on from the previous S61 and S74 racing cars. Built to topple records set by the 200hp Blitzen Benzes, these were the ultimate development down that ‘make it bigger’ alley, before Ernest Henry began the rush to light weight, twin cams and higher revs. But after some testing around Turin the impetus seems to have died rapidly – even Fiat’s hero Felice Nazzaro called the 300hp S76 ‘uncontrollable’. While Hemery’s 12.5-litre Blitzen Benz had set the official LSR figure of 125.95mph at Brooklands in 1909 (Europe not recognising Barney Oldfield’s US runs), new rules required a two-way run – not ideal on a banked track. Apparently at the urging of the marque’s UK agent, Fiat sent one car to Brooklands in 1911 for a nervous Pietro Bordino to demonstrate over a couple of slowish laps, before the Turin equipage headed for the Saltburn speed trials where miles of sand looked more likely for a record attempt. 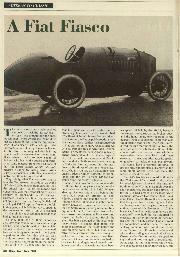 But the heavy car dragged its feet in the wet sand, officially hitting only 116mph – FTD but no Land Speed Record. Meanwhile Nazzaro drove the second car in the Susa-Mont Cenis hillclimb, but it was now sidelined by the lighter 4.5-litre S57 GP car and it languished through WWI. While the chassis seems then to have been scrapped, it is this engine Pittaway tracked down. Duray instead proposed a five-mile straight road outside Ostend, where he took the car in December 1913, fitted with a wedge nose. 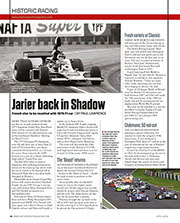 In the face of poor weather and erratic timing equipment he was timed at 132.37mph over a flying kilometre, and gives an alarming description – “The smallest bump makes all four wheels airborne, and when you cut off the throttle the car tends to turn sideways…” while the slow-down stretch is “far too short and the brakes are not able to stop the car”. Little surprise – they are rear-only. 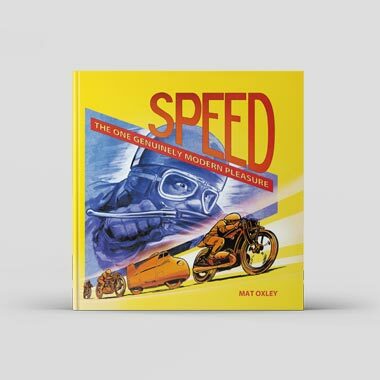 But as that record speed was only one way and his planned return didn’t happen before that shot rang out in Sarajevo, the car returned to Turin and the Benzes remained unblitzed. Other than one photo of an S76 in Turin in 1920, there is little evidence of what happened next. According to Duncan the Sukhanov car found its way to Australia where it was re-engined, crashed, then abandoned. He has photos showing a Fiat-based special over there, by then thought to be one of the smaller 14-litre S74 Grand Prix cars. That is the chassis he recovered, and sitting on its stands it looks weedy enough to match period descriptions calling it flimsy. “I can’t prove it’s the chassis,” Duncan says, perching on the front crossmember like an animated figurehead. “It’s definitely Fiat, dimensions match exactly, the halfshafts run through the rails, it has these” – he points to brackets and reinforcements on huge period photos pinned to the walls, details that reflect what I see on the chassis. “And pedals and steering box exactly match the 1910 drawings.” He also has 170 Fiat drawings to work to for the missing parts – gearbox, final drive, that cartoon radiator cowl. “Whatever they say about originality they can’t say it’s not authentic,” he says. However the debate pans out, I suspect Fiat’s period engineers would applaud his meticulous work. But unless he can reinforce the Aussie link, this is a historical hole his detractors will probe. There can’t be any dispute about the vast block, though. Bearing scars of age, it has the four exhaust ports of engine No2, the proper 91-plate Hele-Shaw clutch and the pointed starting handle, as well as conrods like thigh bones, giant camshaft with ramped compression-lifter cams for starting and a crank that belongs in a ship. Duncan takes a call from the Italian guy restoring the unique triple magneto; there’s a bit of confusion about firing order. I hope the translation was right – a backfire from one 7-litre pot could trigger WWIII. Duncan is especially keen to scotch the idea that these were airship engines, as often stated since there was a similar dirigible unit. “Look at the aero-engine photos – no bearers, overhead controls, different sump. Now look at the cast-in bearers on the car.” There they are, finely tapered to fit the slim chassis rails. “I’m building the Sukhanov car,” Duncan says, “as I feel the identity lies in the chassis. People say it’s a fake, but I don’t care.” It’s evident he does, though. He’s at pains to rehearse the evidence of what he has and how it relates to the two cars Fiat built trying to beat the world. Height apart, this is a compact short-wheelbase car, and Duncan is absolutely bubbling to get aboard. “Bordino chose to drive it from Brooklands to Saltburn – he wouldn’t have done that if it was scary.” His eyes light up. “Think of it – those open ports jetting flames…” You can tell he really, really wants to drive it on the road. Which is something you can’t say about Duncan Pittaway. Somehow the mists of history seem to be draped over the flat-12 Boxer, but here’s a low-mileage example of the rarest version, with impressive concours credentials. While still overshadowed by the ‘pagoda’, the third-gen SL is solid, reliable and good value. This is ‘as new’ with only 1733 miles, while the 3-litre six is said to have a handling edge. 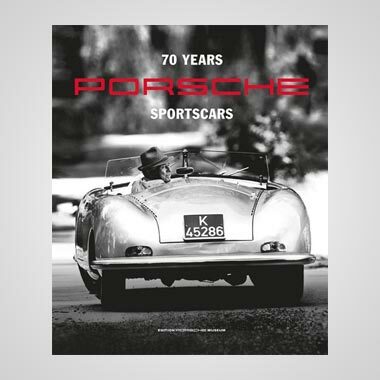 Last of the air-cooled cars, and something of a classic among ‘proper’ rear-engined Porsches. Still under 35,000 miles, this 1998 car has all the goodies including red calipers.